As a child, lavender was one of my mom’s favorite flowers. I would find pressed sprigs in books throughout the house, and I can practically still smell the distinct earthy aroma of the various lavender-scented lotions and potions of hers that I would slather myself in (incorrectly, I’m sure) whenever I could get my hands on them. Though I tend to prefer notes that smell like food (you know, vanilla, grapefruit, pizza…) the nostalgic element of lavender makes it a perennial favorite in my book. 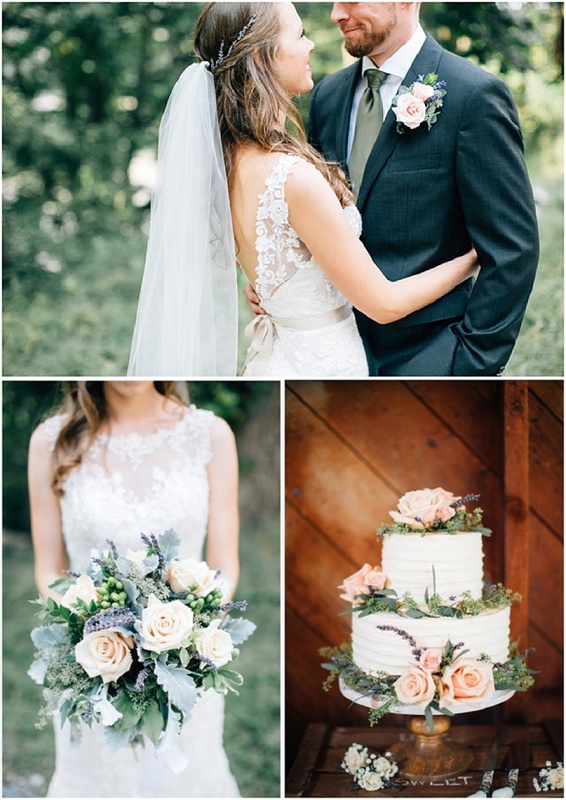 I’ve been seeing it everywhere in weddings as of late, and it seems I’m not the only one with a sentimental connection to the purple-gray bloom. Perhaps it’s the delicacy of the sprigs or their ubiquitous appearance in backyard gardens that imbues anything ornamented with lavender a personalized and rustic feel. Either way, I’m loving the understated, feminine sweetness of it all—keep scrolling to take a look at some of my favorite lavender inspiration! 1. 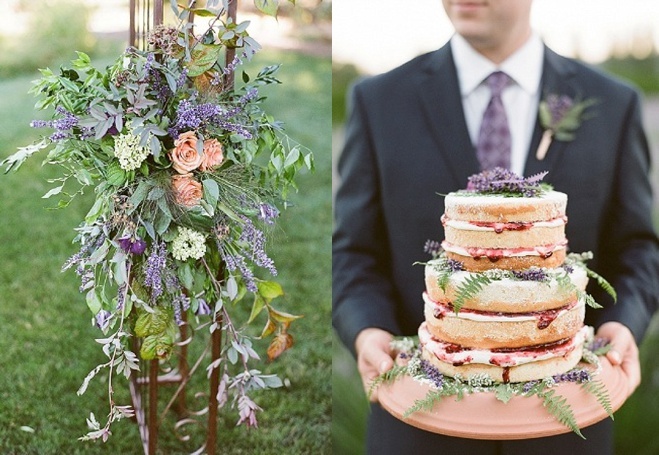 Foliage-filled floral design and a naked cake peppered with lavender and fern leaves create a rich rustic look. Photos by Katie Parra, floral design by Fena Flowers, styling by Pink Blossom Events and cake by Hey-Sweets (see more of this inspiration shoot here). 2. 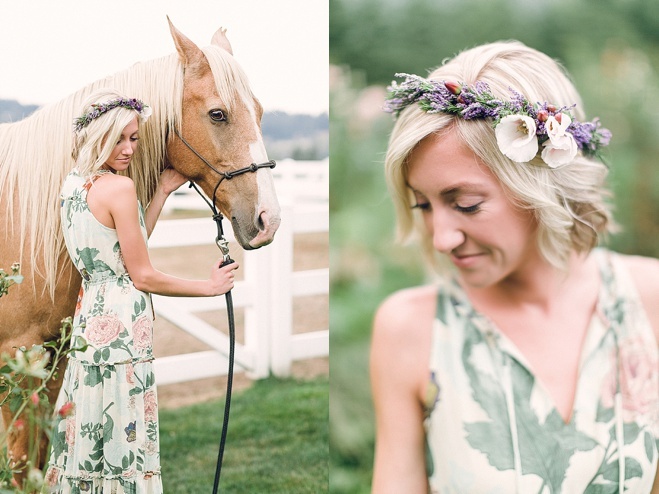 A dainty lavender flower crown on this bride-to-be is equal parts fairy princess and flower child. Photos by Sweetlife Photography and flower crown by Heirbloom Floral (see more of this engagement session here). 3. A bed of lavender sprigs lends a whimsical and feminine touch nestled below an almost-naked bundt cake. Photos by Ashley Cook Photography, styling by Becky Hart of Event Crush and cakes by by Jana Fitch Cakes (see more of this inspiration shoot here). 4. 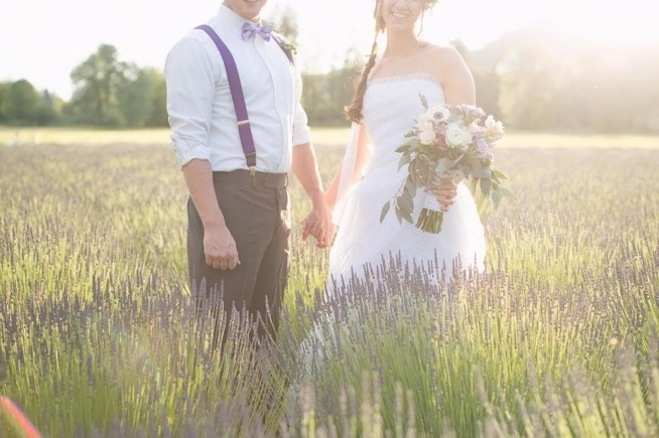 Touches of lavender add earthiness to a pastel bouquet, a prim-and-proper white cake and the bride's loose waves. 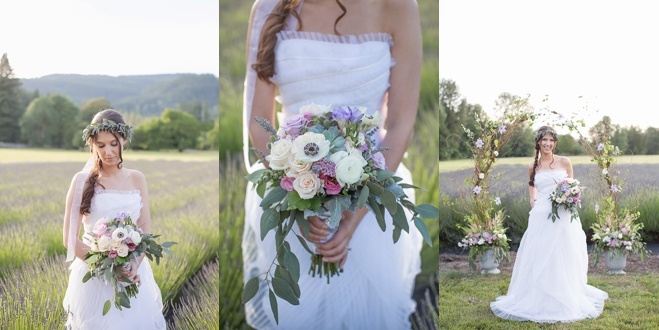 Photos by Lora Grady Photography, and bouquet and cake by Haggen Market Street (see more of this wedding here). 5. 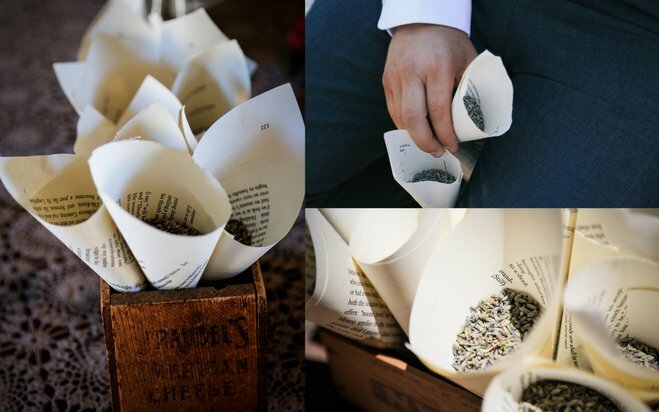 Book pages filled with lavender put a whimsical twist on the traditional rice toss. Photos by Infatuated Eye Photography (see more of this wedding here). 6. A deconstructed pastel bouquet, ruffled gown and lavender crown are the key ingredients to this fairy-princess bridal look. Photos by Ashley Cook Photography, styling by Becky Hart of Event Crush and floral design by Danielle Bivens at Dream Designs (see more of this inspiration shoot here).